• DIGITAL TVC, is a company registered in the Register of Telecommunications Installers with the number 20.618 in categories A and D and an industry experience of over 30 years old. 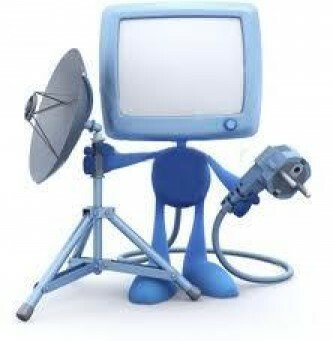 • DIGITAL TVC, is a small, dynamic company related to the world of telecommunications. • DIGITAL TVC, started its activity in 1985 offering a serious, fast and quality. Our Services are designed to meet the needs of our customers, among which we have particular, neighboring communities, companies and estate managers. DIGITAL TVC not give quotes over the phone without seeing their facilities, because you can not give a quote without seeing the installation because each installation is different. 1º – Be charged to the customer but when the installation may not be worth. 2º – The installer to pinch your finger in the price, if this occurs, will put poor quality materials, such as the cable, also save time and this will make the installation of grief as unfortunately seen daily by the roofs and facades. Do not leave in the hands of illegal enterprises installation, repair or maintenance of telecommunications infrastructure.